Quality, Value & Service Since 1972. 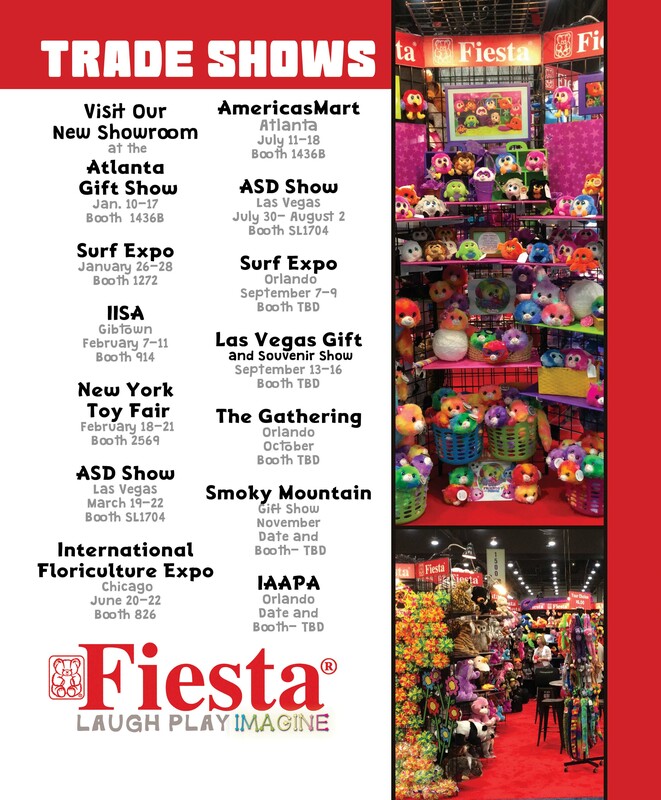 The Fiesta.net website is designed for our RETAILERS and SALES REPRESENTATIVES. By providing product information, prices, and current inventory levels, our goal is to make it easy to do business with Fiesta. By offering online 24/7 information, our hope is that many of your questions will be answered immediately, to allow you to browse and place orders at your convenience. At fiestatoy.net, view and browse all products, select items to place in your shopping cart, change billing and shipping information for specific orders, create a proforma, and download Fiesta forms such as a credit application, and order form. Safety Compliance Reports, click Safety. In case you are currently a Fiesta customer (with established customer number) or a Fiesta sales representative (with established sales group number) click Sign Up. All orders placed online will take 1-2 business days to ship from the time Fiesta receives your order. If you need your order to ship out any sooner please contact Fiesta directly to place your order. Please make sure to notify us of any changes to address, personnel, or any changes in shipping procedures at the time the order is placed. Please also note if backordered items are allowed. Once you submit the order you will receive a copy of it right away, if you do not receive this email we did not receive the order so please make sure all fields are complete before proceeding. Please let us know if we can help in any way and we look forward to working with you.